Only 300 meters from the campsite, enjoy the longest seaside walkway in the Pyrénées-Orientales that spans 10 kilometers along the beach. Don’t miss the annual summer art exhibition. Ignite the night at the legendary nightclub Le Playa with its magnificent 250 m2 terrace overlooking the sea. The place to go for young people! Forget about your car, the nightclub is only a 5 minutes’ walk away. You can get your groceries at the Intermarché Contact, 50 meters outside the campsite on your right. 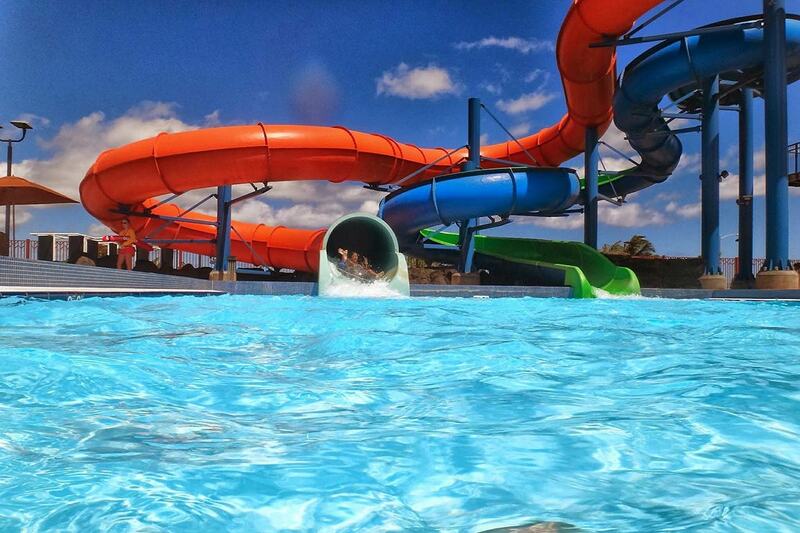 Located on the shore of the Mediterranean Sea, south of Saint-Cyprien, you’ll have an unforgettable adventure with family or friends at the Aqualand water park. You can work on your tennis game at our courts in the woods, so Roland Garros had better watch out! You can explore a wide variety of destinations in France or Spain with our partner Cars Verts. One of our bike rental partners is located just outside the campsite on the left. 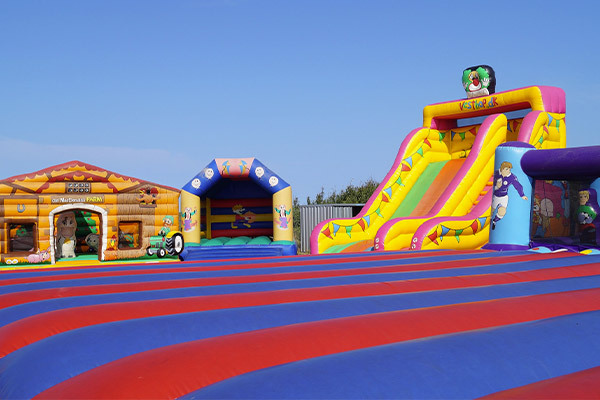 Your children can play in a bounce house park on the beach. For one-of-a-kind fun for children, adults, families and friends, come and discover the joys of mini golf.